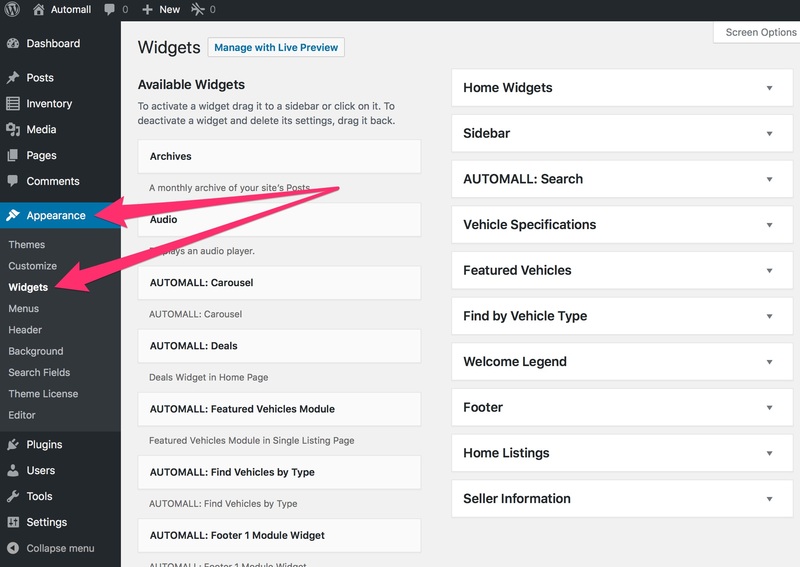 On your WordPress AutoMall Theme Dashboard browse to Appearance => Widgets menu link to access the Widgets page to setup the search module and all AutoMall theme widgets and sidebars. 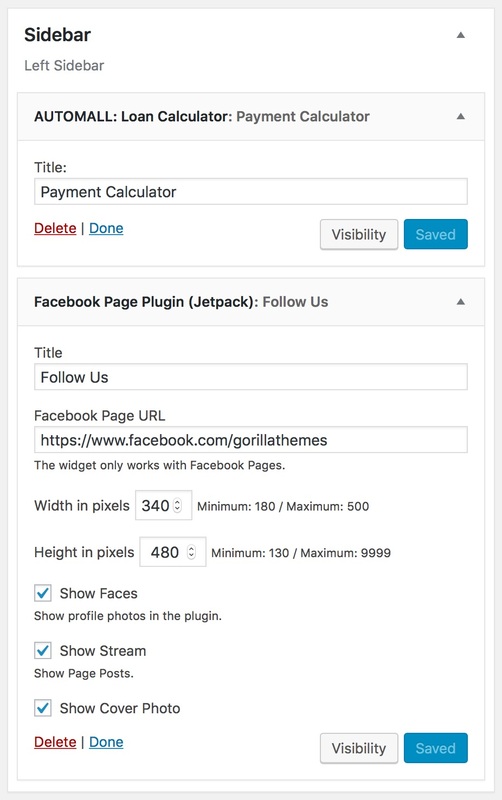 Drag the AUTOMALL: Loan Calculator to the Sidebar module, add a widget title for the payment calculator to show in your sidebar. 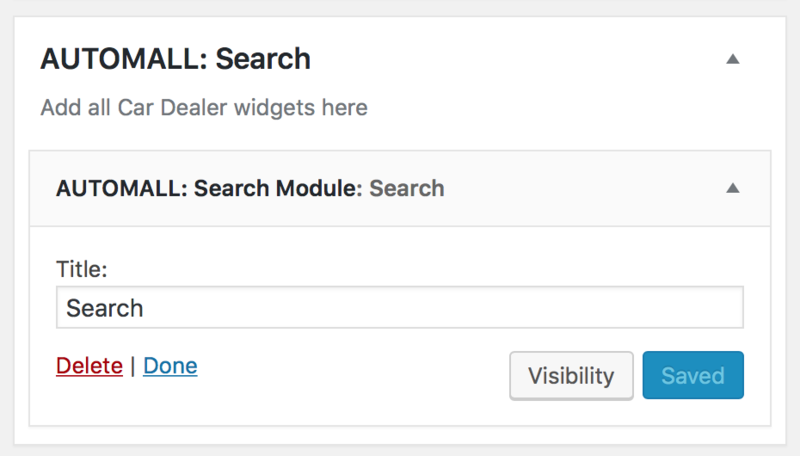 Drag the AUTOMALL: Search Module widget to the AUTOMALL: Search placeholder and a title to be displayed on the widget. 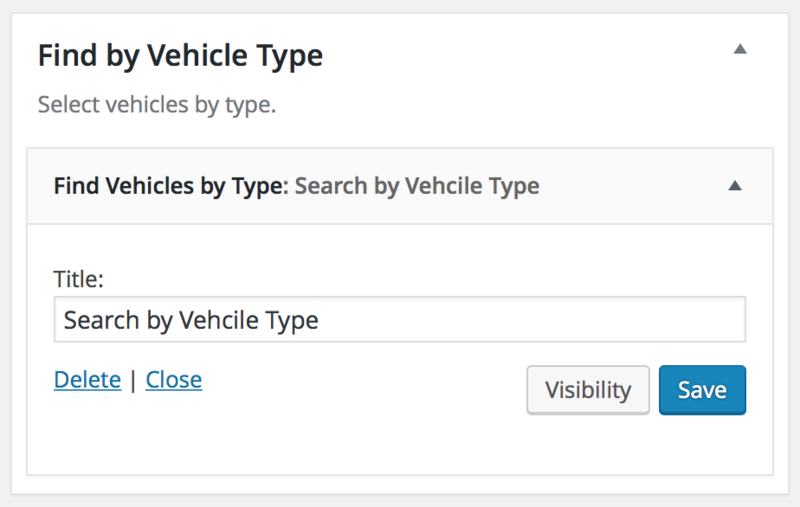 Drag the AUTOMALL: Vehicle Specifications widget to the Vehicle Specifications placeholder. 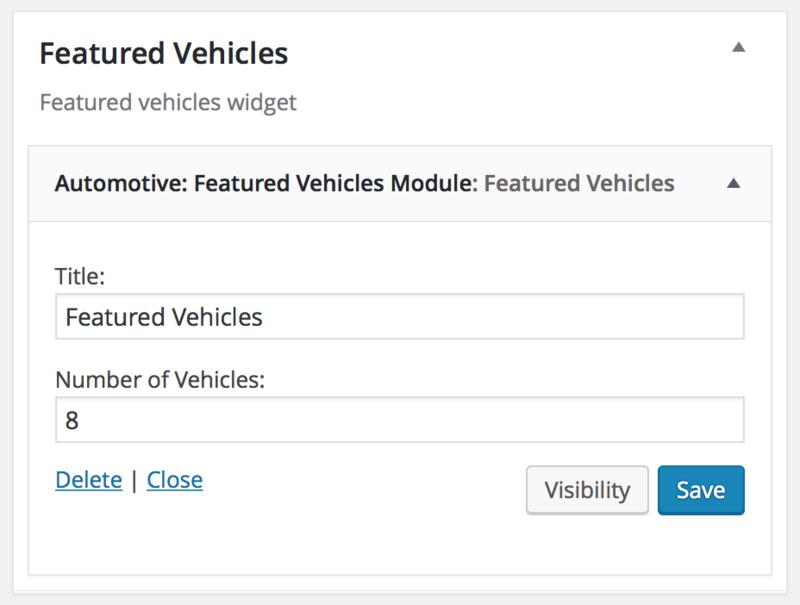 Drag the AUTOMALL: Features Vehicles Module to the Featured Vehicles Placeholder. 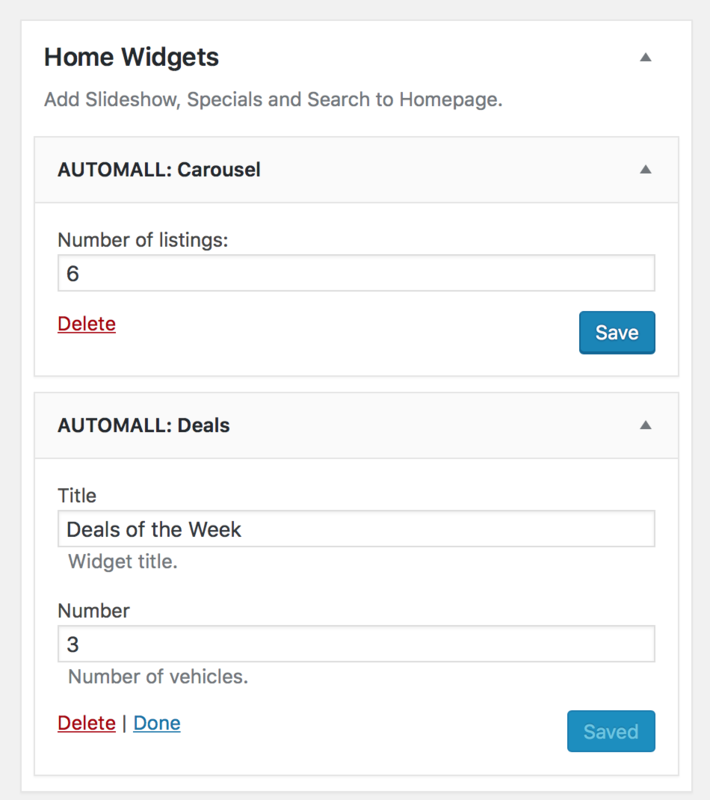 Drag the AUTOMALL: Find by Vehicle Type Widget to its own placeholder and add a title for your widget. 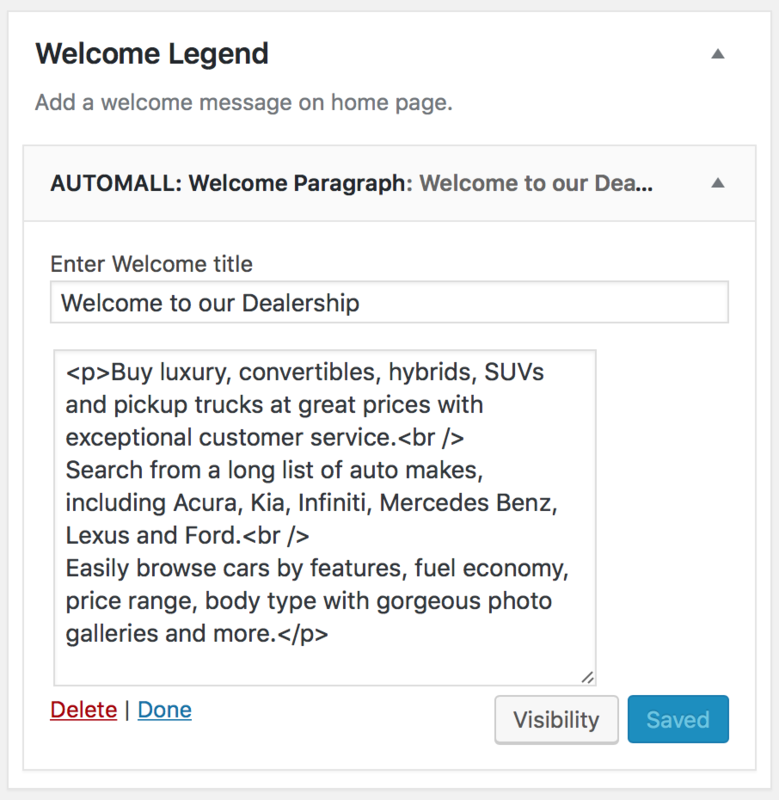 Drag the AUTOMALL: Welcome Paragraph to its the Welcome Legend module and add a title for your widget and welcome text for your widget. 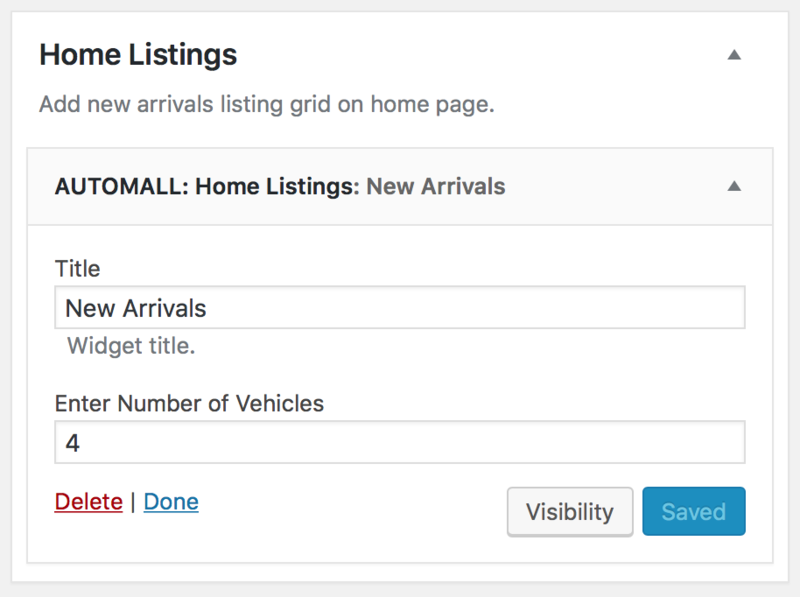 Drag the AUTOMALL: Home Listings widget to the Home Listings placeholder, add a title and number of vehicles to show in home page. 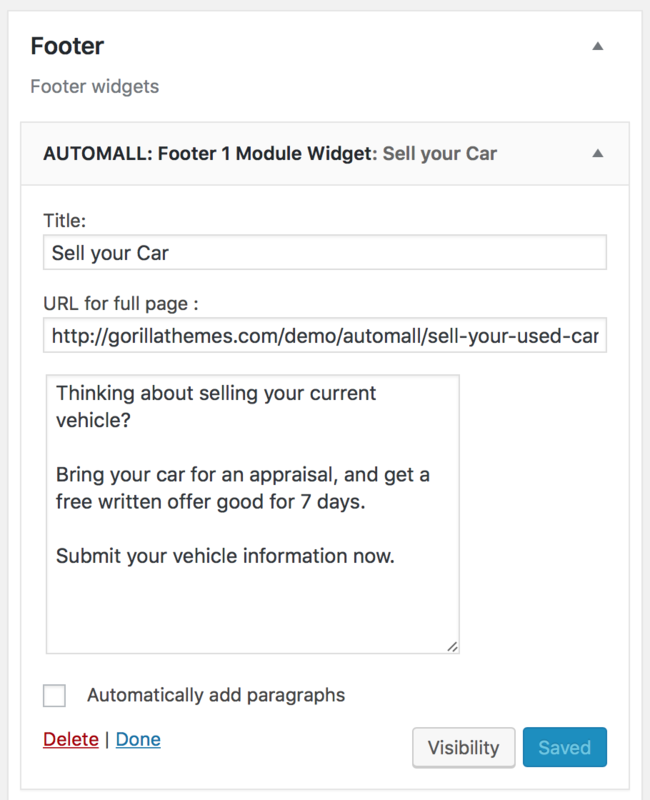 Drag the AUTOMALL: Seller Information widget to the Seller Information placeholder to display seller name and phone number on each listing, seller information is located under Dashboard > Users > Profile(s). 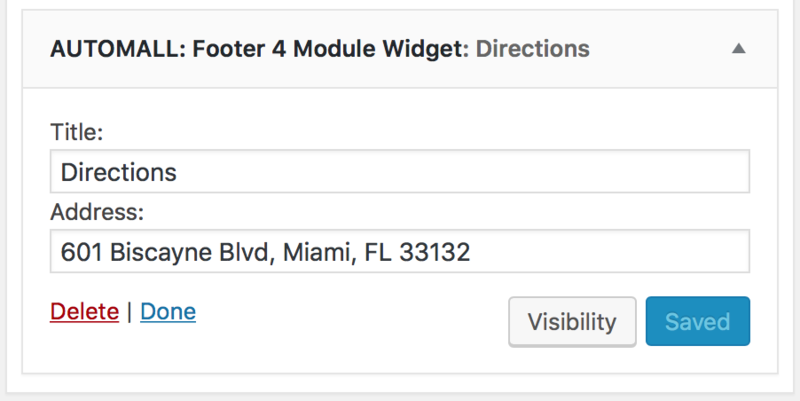 Drag the AUTOMALL: Footer 2 Module Widget to the Footer widget placeholder. 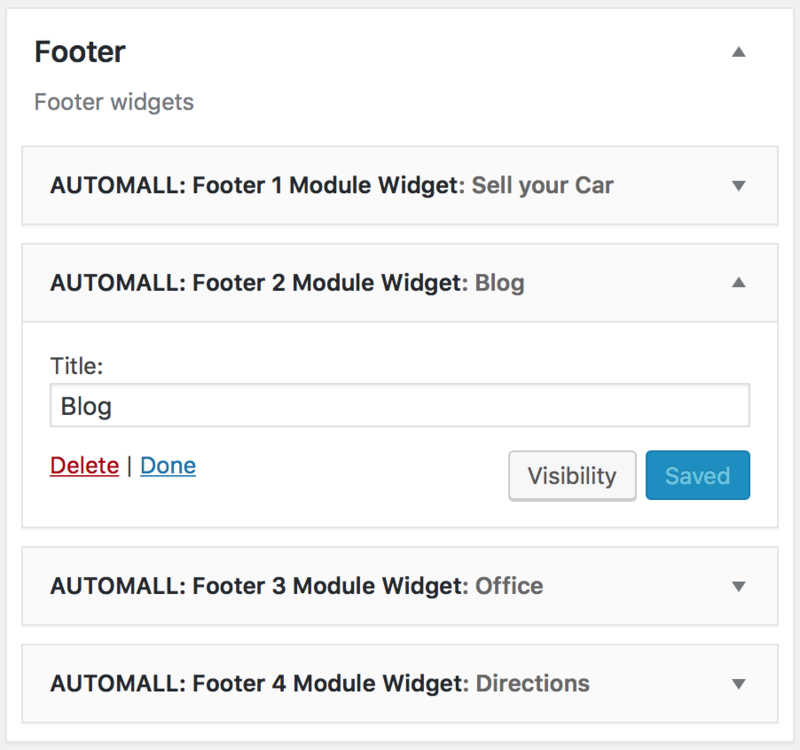 Drag the AUTOMALL: Footer 3 Module Widget to the Footer widget placeholder. 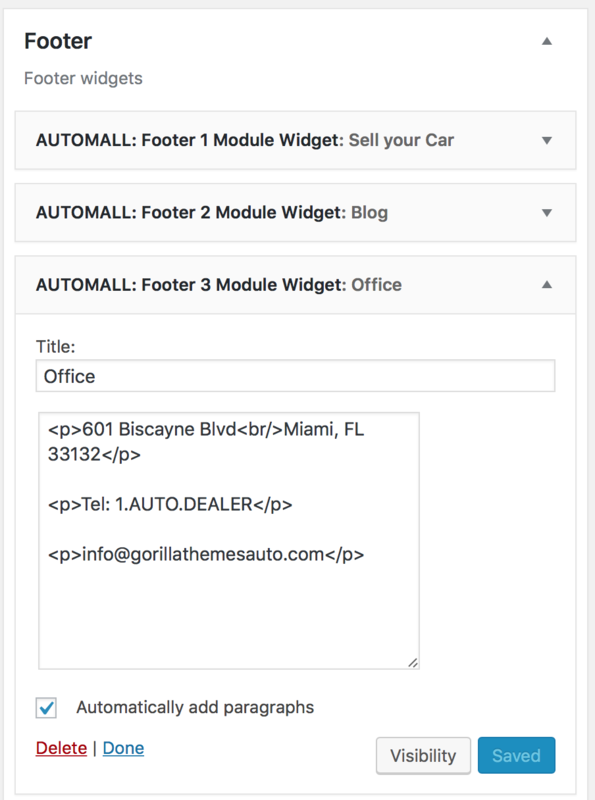 Drag the AUTOMALL Footer 4 Module Widget to the Footer placeholder.